May buy and redeem any quantity. THIS VOUCHER WILL BE YOUR ADMISSION TICKET. 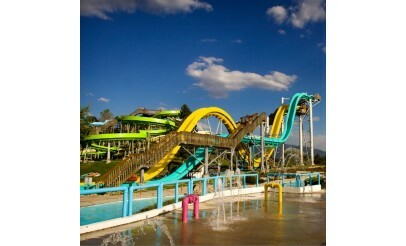 This pass is good ONLY at the Salt Lake Water Park on August 5th, 2015 from 4:00 pm - 8:30 pm. Voucher is valid for admission only. Sales tax due at time of checkout. The printed voucher is the admission ticket and should not be thrown away. The voucher is non-transferable. Seven Peaks is not an official sponsor of this event. Valid through: Aug 5, 2015. See the terms that apply to all deals. 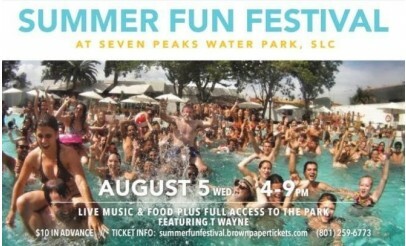 This will be a fun-filled music festival held at Seven Peaks Water Park in Salt Lake City, Utah. 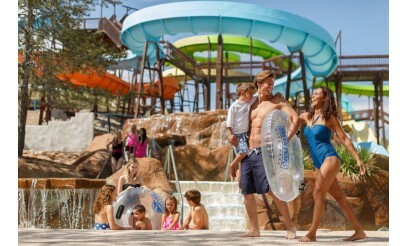 There will be a diverse line up of national and local artists performing live, a wide variety of food and full access to the entire water park. This is a family-friendly, all-ages event.